can stand alone, or connect together for one very large piece. the temple continues to inspire and inform initiates of the intricate balance of the universe. have seen to its care over the long span of years. distinct areas that represent aspects of the creative process. The first area is known as First Seed. 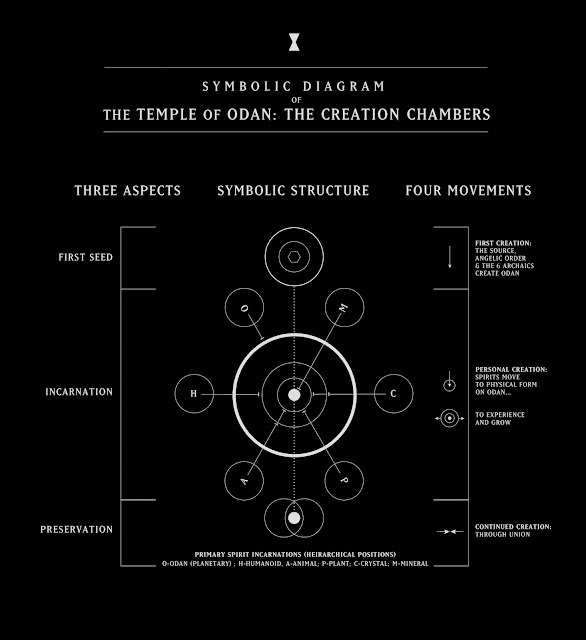 orders of spirits that enter into physical form on Odan. as well through personal endeavors. The masculine aspect is that of authority, management and . Whereas the female aspect is that of creativity, spiritual development and empathy. The Temple of Odan is filled with multiple levels of symbolic interpretation only a few listed here.